Want to inculcate a love of nature and furry friends in your baby? Get your little one started early with this beautiful, modern Jungle Friends Mobile from Petit Collage. Made from laser cut bamboo plywood, an earth-friendly renewable resource, this adorable mobile features a monkey, elephant, lion and giraffe. We love that this mobile is classic and cute enough to be used a long time, as it is as fun for a preschooler’s room as it is for a newborn’s nursery. We’ve written about Petit Collage before (here and here), for their charming print art and nursery decor. 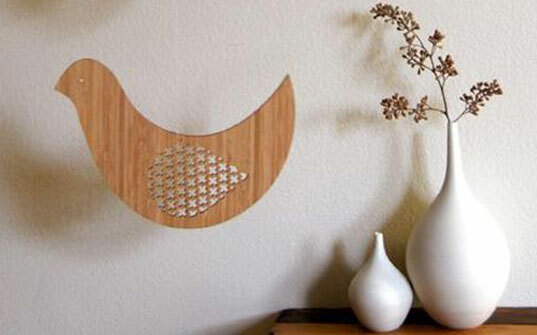 Their bamboo, laser-cut mobiles are just as precious and eco-friendly as everything else they make, and we can’t recommend them more highly. Want to inculcate a love of nature and furry friends in your baby? Get your little one started early with this beautiful, modern Jungle Friends Mobile from Petit Collage. 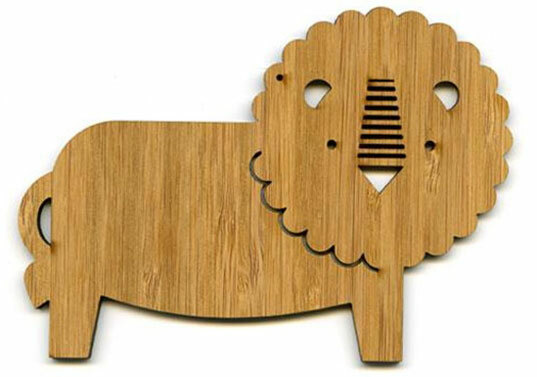 Made from laser cut bamboo plywood, an earth-friendly renewable resource, this adorable mobile features a monkey, elephant, lion and giraffe. We love that this mobile is classic and cute enough to be used a long time, as it is as fun for a preschooler's room as it is for a newborn's nursery.